As our world evolves, it is our duty as educators to teach our students not only academics but to also teach them to be successful and to enter the world fully prepared for what’s ahead of them. The jobs we are trying to prepare our students for in the future don’t even exist yet. Therefore, teaching them the critical thinking and leadership skills they need to reach their goals is a critical part of our job. The Leader in Me is a process that integrates The 7 Habits of Highly Effective People into our day-to-day learning. We began this journey at the beginning of the 2016 school year and are excited to see where it takes us over the next several years. We are grateful that Panda Express has awarded us a grant for the next five years to help us fund most of this process! The leadership we need to move our school doesn’t need to come from the top, but rather it comes from all of us within the school, especially the children themselves. You will hear your child(ren) talking about the 7 Habits at school and see it infused in everything we do here at Pasadena Lakes. We hope that those habits will also continue to be used in their everyday life outside of school. 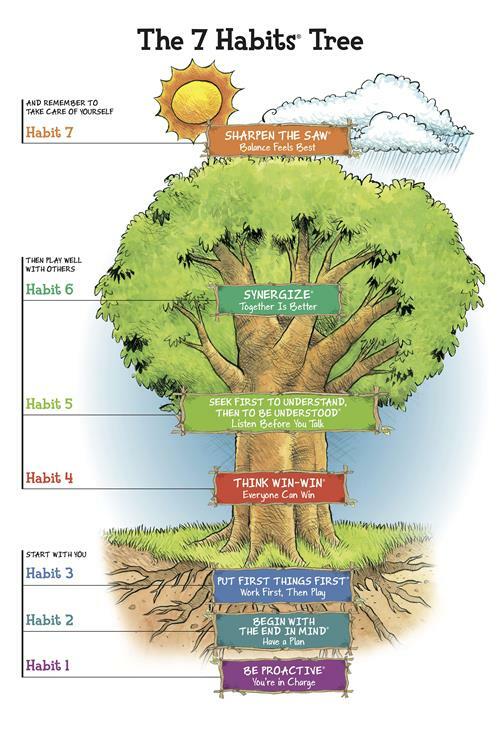 Below there is a Parent Guide that you can read and use to help you infuse the 7 Habits at home. We strive for our students to be the leaders of our school and our world!